6.8 Lesson Seven – Why Rules? The purpose of this lesson is to enable the students to appropriate and integrate their learnings from the previous lessons. The teacher facilitates a general discussion among the students on the subject of rules. The teacher may use some of the discussion questions listed below or any related questions that the teacher develops. Have the students write a short paper addressing one or more of the questions. Some of these papers may be shared in class. What is a rule? What is the purpose of a rule? Why does our society have rules? Why do we need rules? Do we need rules? Could you imagine a society without rules? Explain. Do you think a society could function without rules? Explain. What would school be like if our school had no rules? What would our home life be like if our parents had no rules that they ask us to follow? What would life in our larger society be like if there were no rules? Are there some rules in your peer group, your school, your home, or in the larger community that you do not agree with? If so, what are they and why do you disagree with them? 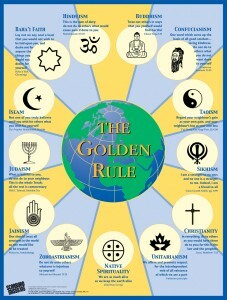 Are there some rules in your peer group, your school, your home or in the larger community that you agree with? If so, what are they and why do you agree with them? 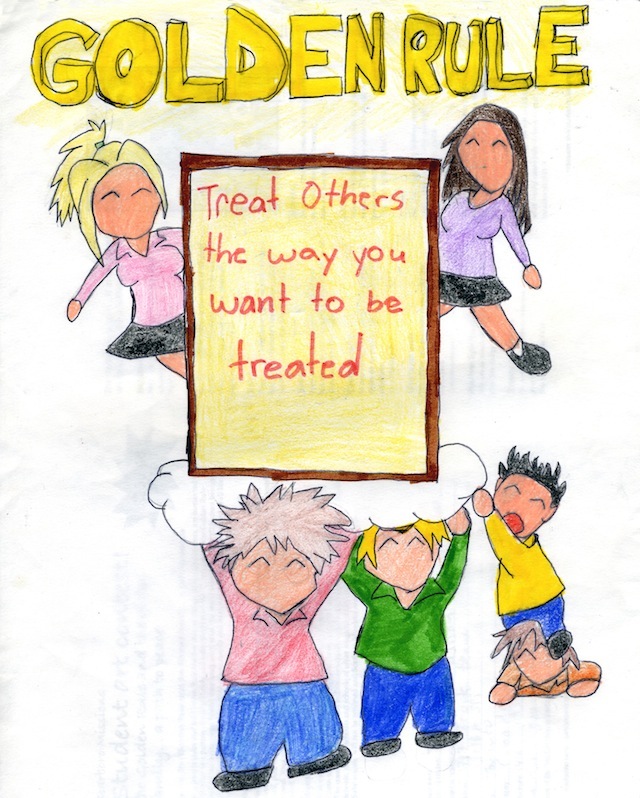 Are there some rules that are non-existent in your peer group, school, home or community that you would like to see introduced? Explain. Why do some groups of people have different sets of rules from other groups of people? For example, why do some countries, cultures or communities have a very different set of rules for what they deem to be acceptable behavior in the community? (Teacher may wish to provide a couple of examples.) The teacher encourages discussion. Journal activity: Let’s write about it! For journal questions to stimulate the students’ written reflections after or during class, see Appendix 2. 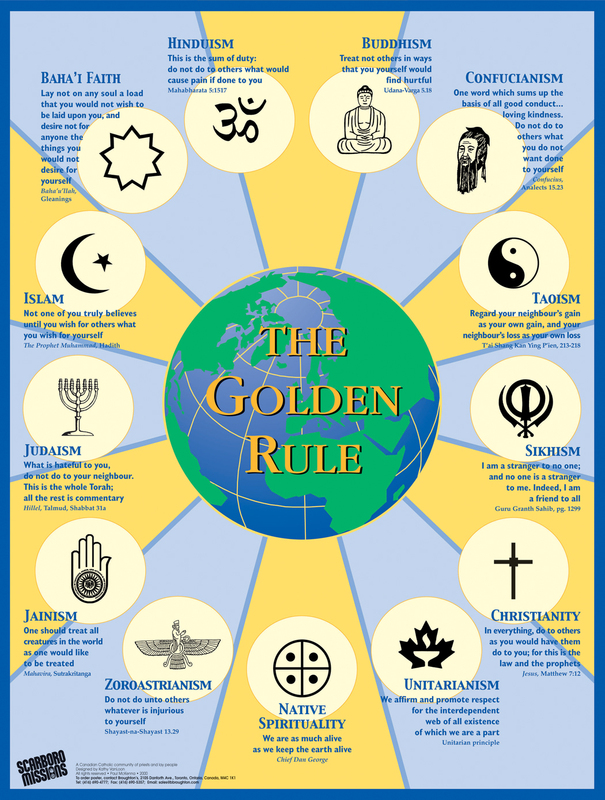 Support interfaith dialogue with "The Golden Rule" poster, which shows the golden rule in the sacred writings of 13 faiths.